HomeGold IRA BlogFeaturedWhat have analysts been saying about gold and silver? What have analysts been saying about gold and silver? You’ve probably heard that gold and silver have hit lows recently, but what do analysts have to say about this? Below is a recap of three recent articles containing valuable insight. At the recently held Casey Research Fall Summit, positive outlooks on gold were abound among attendees. David Tice, founder of the Prudent Bear Fund, believes we may see a “global currency reset” that will lessen the role of the U.S. dollar in international trade. He also sees a possible crisis in the paper gold market (gold ETFs) happening in the future that may boost gold tremendously. Ed Steer, editor of Casey Research’s online newsletter, is bullish on gold in the long term based on what he believes to be central bank manipulation. Rick Rule, chairman of Sprott US Holdings, said “What matters is your response to the bear market. If you have the wits, courage, knowledge, and cash to take advantage of them, bear markets are great.” Louis James, chief investment strategist of Casey Research’s Metals & Mining division, agrees with Rule and thinks gold is presenting a welcoming opportunity for those looking to buy it at a low price. See the full article from Casey Research here. A growing economy tends to see increases in commodities prices (oil, corn, soybeans, wheat, etc. ), but instead these prices have fallen significantly. On the surface the stock market may seem as though it is thriving, but stock trading volumes are still low and more money is being concentrated in only a handful of booming stocks. 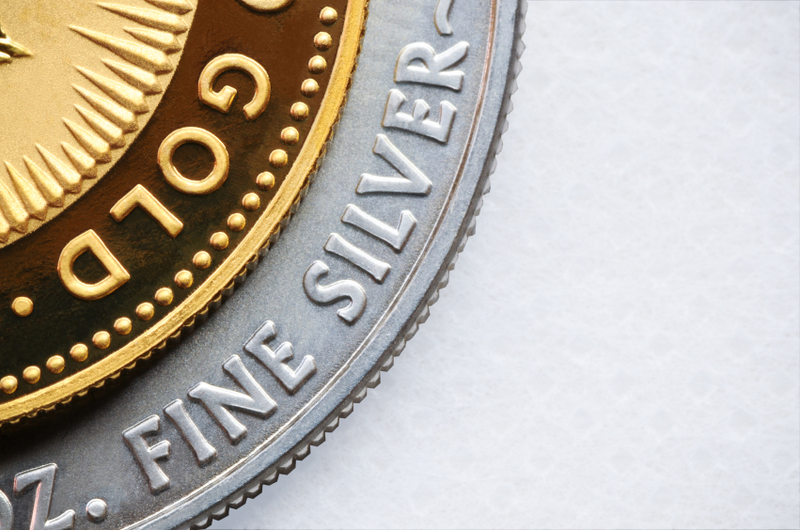 If these opinions have you interested in gold and silver, considering adding them to your retirement portfolio by opening a Gold IRA capable of holding physical precious metals along with paper assets. Start protecting your financial future from economic uncertainty today by calling American Bullion at 1-800-326-9598. One of our dedicated agents will be happy to assist you.